Since 2015 Hublot has been part of the excitement as the Official Licensed Watch of the UEFA Europa League. Now Hublot presents its first watch in the UEFA Europa League colours at UEFA's headquarters. This competition is considered as one of the most prestigious in the world. Since 2015 the winner automatically qualifies for the UEFA Champions League, making it a springboard for clubs. Hublot first partnered with 'Nati' (the Swiss national football team) in 2006. This marked the beginning of a 10-year relationship between Hublot and the most prestigious clubs, star coaches, talented players as well as the most prominent competitions the FIFA World Cup, UEFA Champions League and UEFA Europa League. Hublot brought together the footballing world at the UEFA headquarters in Nyon. Alongside Guy-Laurent Epstein, Marketing Director of UEFA, Ricardo Guadalupe, CEO of Hublot, unveiled the first official licensed watch of the UEFA Europa League a Classic Fusion Chronograph UEFA Europa League. A thrilling competition, rich in history, that unites players and fans as they proudly represent their clubs across Europe, as they both strive together for European glory. Last year, Manchester United FC won its entrance ticket to the UEFA Champions League under the impetus of none other than José Mourinho--a Hublot ambassador. Four clubs stand out for their results in the UEFA Europa League. Sevilla FC holds the record with five victories including three consecutive ones (2014-2015-2016). FC Internazionale Milano, Liverpool FC and the Bianconeri of Juventus all hold three victories each and are all supported by Hublot. 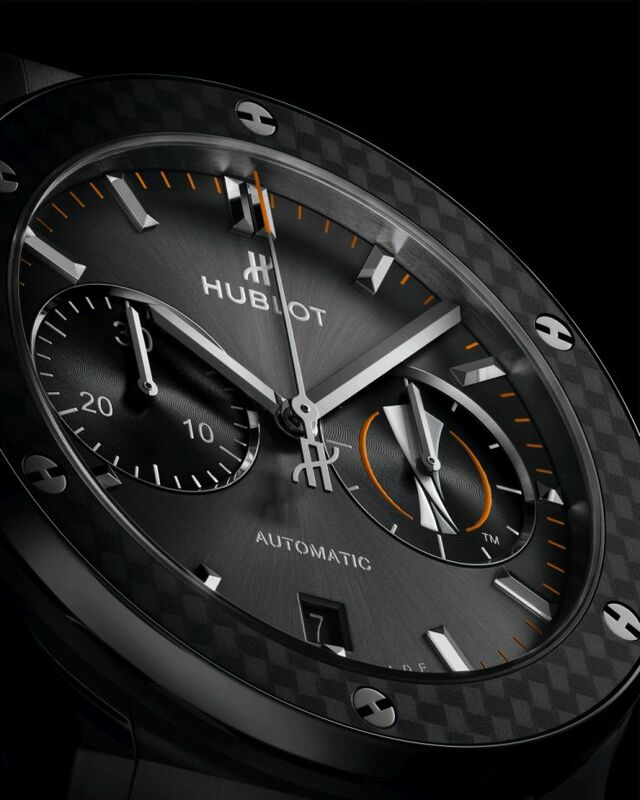 The first Hublot Classic Fusion Chronograph UEFA Europa League was worn on the wrist of David Trezeguet, the top scorer in the history of Juventus with 171 goals. It was a nod to the history of Vecchia Signora (Juventus) and the UEFA Europa League. 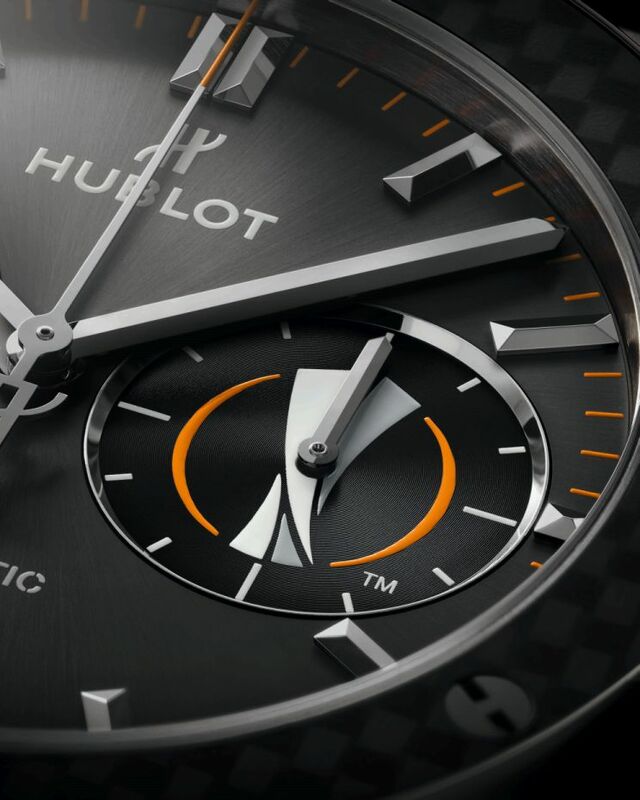 Hublot will also be visible pitch side timing the UEFA Europa League matches with designed referee boards to indicate extra time and player changes. The case, in titanium, measures 45mm x 13.05mm. It has an AR-coated sapphire crystal, a sapphire display back with UEFA logo, and it is water resistant to 50 meters. 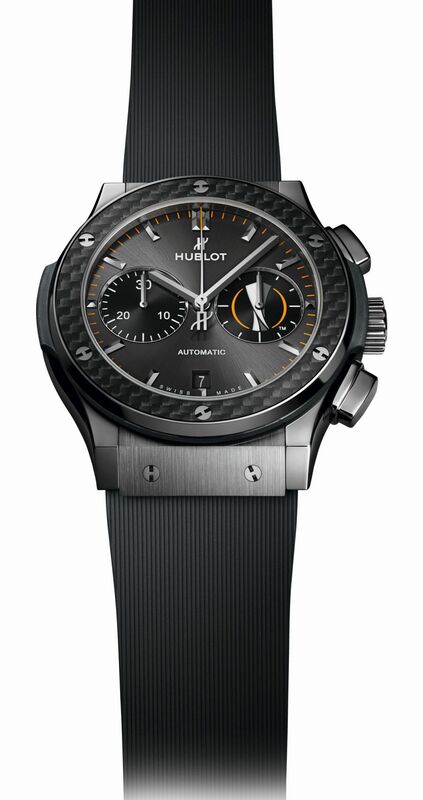 The bezel is polished titanium with black carbon fiber insert with 6 H-shaped polished titanium screws. Movement is the Swiss automatic Hublot in-house caliber HUB1143 with 59 jewels, 28,800 vph and a power reserve of 42 hours. Grey sunray satin-finished dial with "UEFA EUROPA LEAGUE" logo printed at 3 o'clock. Polished rhodium-plated appliques. It comes on a grey rubber strap with a steel deployant. It seems Hublot has a good relationship with football in Europe.